Do your humans have any hidden talents when it comes to pumpkin carving? 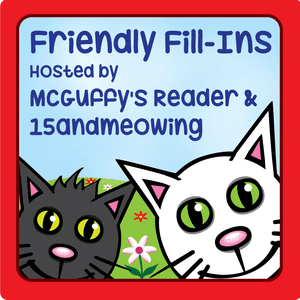 And now our weekly answers (answered by Mommy) for the Friendly Fill-Ins challenge, hosted by 15andmeowing and McGuffy's Reader! 1. If I was a ghost, I would haunt my loved ones so we could still be together. 2. I always fall asleep when Mudpie gets on my lap. Now that it's a little chillier she's wanting to cuddle more and I'm getting extra nap time in! There's no need for sleeping pills when she's around. 3. My favorite scary story is The Tell-Tale Heart. 4. I will be so glad when Target comes to Vermont. I've lamented so many times that we're the only state without a Target, but that's about to change! News broke on Thursday that one is opening in the mall just a couple miles from our house next fall!!! 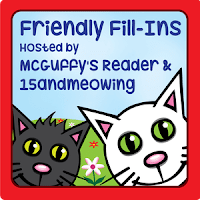 MOL, Mudpie, I don't think my human could do any better than yours! And maybe it's just as well she doesn't try anything with a real pumpkin - she might hurt herself! 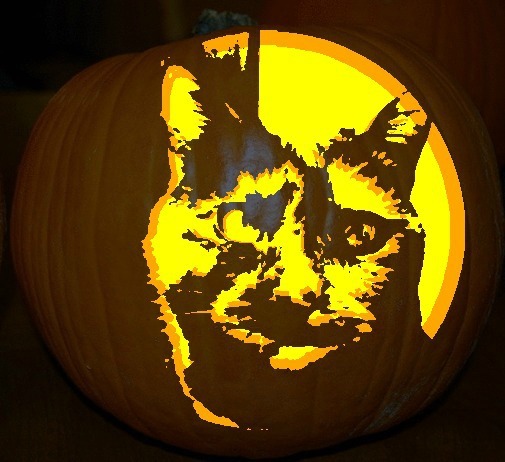 That's some cool cat o'lantern art! What, no Target in Vermont? We would've thought by now that they were everywhere!! Another beautiful work of art! Cute!! Much better than carving a real pumpkin! Well. This probably came out much better than if your mom tried to carve one, Mudpie. Well, we share the same favourite scary story. I love the artwork. Nice! Hugs. 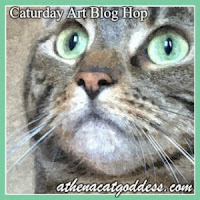 That is some fantastic Caturday Art! We like snuggling more too when it gets colder. And, its always so warm on the cushion where the cats have been sitting! Your pumpkin looks great, Mudpie! Your mom is going to buy you so many goodies from Target when it opens!